3 King-size airconditioned rooms with large marble ensuite with seperate bath & shower. Rooms are not rented individually, the villa must be booked as a whole, minimum charge is USD 250 per night. Our Hostel delivers the perfect combination of surf, party and relaxation in the heart of Canggu, Bali. 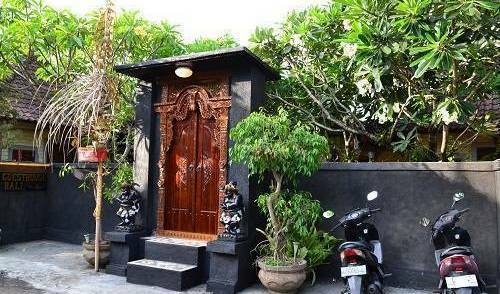 A boutique villa located at lovely premier tourist resort of Seminyak, and walking distance to beach, shops & restaurants / bar. STANDARD ROOM (22 square meters) (Double or Twin hollywood) This room is furnished with amenities which includes Air Conditioning System, Ceiling fan, Shower with hot & cold water, TV with international channels, Telephone with IDD/NDD, Bathrobes, Broadband/Wifi internet access, Desk, Hairdryer, Mini bar and a nice view from the windows. This is a non-smoking room. SUPERIOR TWIN (56 square meters) (Twin) Has views of lush rice fields and generally provided with two single beds/twin beds. Our spacious Rice Field Rooms are more secluded giving you additional privacy and tranquility. These well appointed rooms are decorated with a blend of Thai and Balinese design. Extra large bathtubs designed to accommodate two person. Traditional bed is covered with romantic net and the room amenities includes Paintings, Wardrobe, Bath Tub and Shower with hot & cold water, TV with international channels, Telephone with IDD/NDD, Air Conditioning System, Bathrobes, Broadband/WiFi internet access, Desk, Hairdryer, Mini bar and a spectacular view from the windows. This is a non-smoking room. DELUXE ROOM with RICE FIELD VIEW (42 square meters with a private balcony) (Double) Located in a newly constructed building coupled with a nice relaxing view of a green rice fields. Amenities includes air conditioning, ceiling fan, bath tub, shower with hot & cold water, TV with international channels, telephone with IDD/NDD, bathrobes, broadband/Wifi internet access, desk, hairdryer, mini bar and a spectacular view from the windows. This is a non-smoking room. GARDEN VIEW DELUXE ROOM (72 square meters with private balcony) (Double) Furnished with a King size bed situated amidst our spectacular garden. The well appointed living area includes, Traditional bed covered with romantic net, Artworks, Wardrobe, Bath Tub and shower with hot & cold water, TV with international channels, Telephone with IDD/NDD, Private Balcony with Garden view, Air Conditioning System, Courtyard, Bathrobes, Broadband/WiFi internet access, Desk, Hairdryer, Mini bar and a spectacular view from the windows. This is a non-smoking room. Our hostel is in the heart of Bali's best hangout area, surrounded by clubs, bars, culture, shops and of course, Kuta Beach, all within 500m radius! THE VIRA BALI HOTEL is a boutique style hotel conveniently located at the famous Jalan Kartika Plaza Tuban, Kuta Bali. Successfully combine modern and minimalist architecture with gentle Balinese touch. A 25 m2 room comfortable and spacious fully equip with AC, water heater and tv. this room very popular and get allways excelent review. A 36 m2 room comfortable and spacious fully equip with AC, water heater and tv. this room very popular and get allways excelent review. Wi fi , TV, DVD, Cable TV, free movies, fridge, safe, garden view. Wi fi , TV, DVD, Cable TV, free movies, safe, fridge. Wi fi , TV, DVD, Cable TV, free movies, fridge, safe, pool and garden view. Wi fi , TV, DVD, Cable TV, fridge, free movies, safe, Balcony Room with garden and pool view, bathtub and standing shower. Suite with kitchennete, Wi fi , TV, DVD, Cable TV, free movies, fridge, safe, Coffee and Tea provided. Extra sofa lounge turn into double bed. Direct access to swimming pool, facing pool and garden area. Ensuite bathroom with hot and cold standing shower. a 32 m 2 beautifull room set up with king size bed, fully equip with satelite tv, water heater, AC and internet acces. perfect acommodation for you and your loved ones or with your friends. a 32 m 2 beautifull room set up with king size bed, fully equip with satelite tv, water heater, AC and internet acces. perfect acommodation for you and your loved ones. 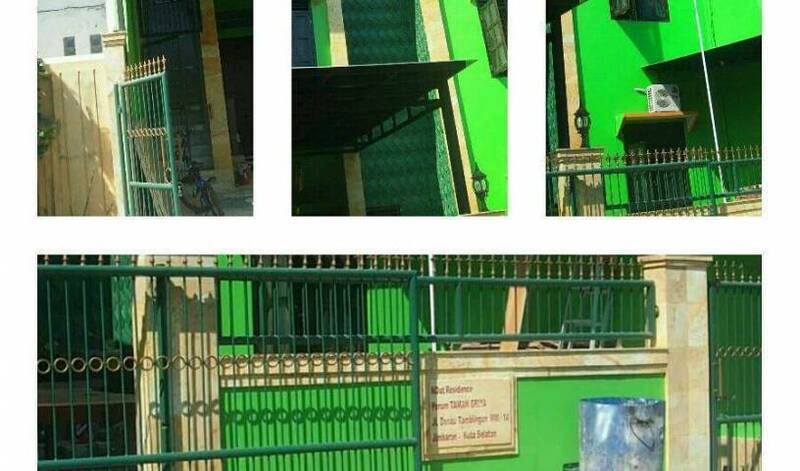 Bali Senia Hotel is located in the heart of Sanur. A sleepy fishing village on the island of Bali. 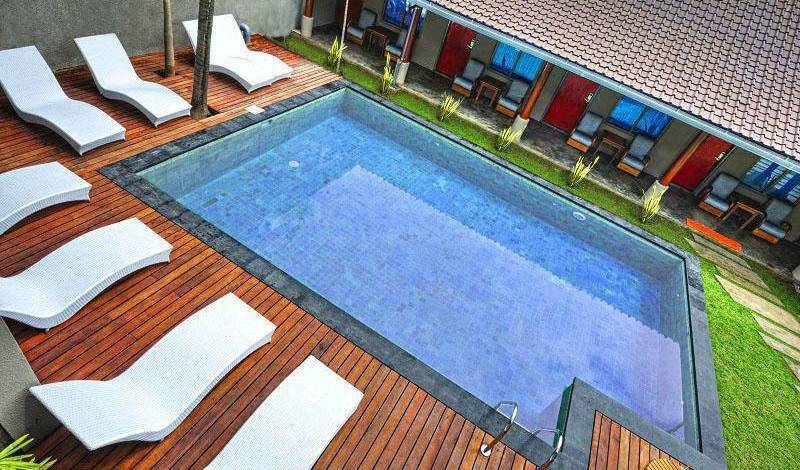 The hotel is close to the white sandy beaches of Sanur where surfing and diving are specialty sports. Uluwatu Hotel with ocean and landscape village view and only 5 minutes to Padang Padang Beach and Uluwatu Temple. Jimbaran Garden Homestay Bali is a character garden villa situated on the hills of the Bukit Peninsula of Jimbaran Bay, Bali. Our homestay offers you a clean, safe, and comfortable environment and provides cultural experience while you visit Jimbaran. If you’re looking for a vacation right in the surf style, then Bombora Surf Camp is what you need! 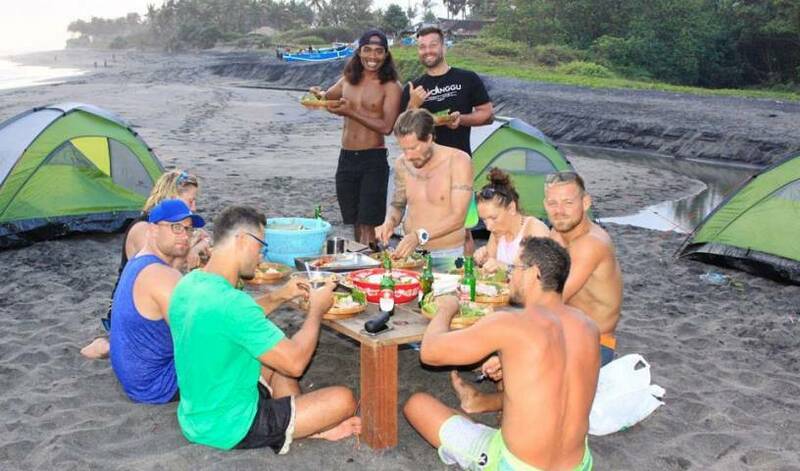 You wil have the chance to know many people from all over the world with whom to share your surfing experience. Taman Wana Villas & Spa offer a relaxing environment, a stylish unique world - class resort destination is in equal parts an exclusive jungle lodge, a five star boutique hotel and a mountain retreat. Located on top of secluded intimate hideaway hill overlooking lush and green garden with water feature. All guests rooms are housed within two story building with ethnic combination traditional architectural to emphasize the balance of nature and style, and maximize views of the coconut grove, and surrounding greens of garden. Private balcony, indoor shower, large bedrooms and coffee table are provided in each room. Welcome to Beautiful Bali, an island of peace, beautiful scenery, amazing culture, colorful traditions and some of the nicest people on the world. These bright, elegant and recently renovated rooms are perfect for guests seeking value for money in the Balinese paradise. Rooms with minimalist design combining modern art Balinese decor style, size 50 square meters equipped to ensure maximum comfort, with superior quality materials and fabrics. All rooms have a king size bed or Twin beds, including flat screen television, large bathroom with rain shower, Wi-Fi internet access, in room safe, spacious private balcony and are impressively appointed welcoming you with comfort and luxury. Choose an Executive Junior Suite if you look for bigger spaces, personalised service, VIP treatment and all the Melia experience in the attention to the small details. A luxury Executive Junior Suite size 70 m2 which combines a subtle Balinese touch with modern conveniences. The rooms provided king-size or twin beds, all of them have spacious private balcony. Perfect for Honeymooners, guest on a Romantic getaway or families with maximum 2 children up to 12 years old.